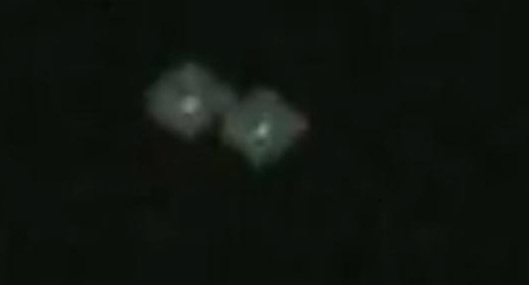 THIS amazing footage of a flickering orb darting across the night sky has left the entire UFO community buzzing. A glowing circular object can be seen shooting skywards like a rocket in this stunning video. And when the camera zooms in, the clips reveal at least two lights on the possible alien aircraft blinking in the night sky. The mysterious object can be seeing shooting westwards before suddenly changing course and flying east, over Laredo, Texas. Some UFO enthusiasts believe the videos – which have taken the internet by storm – are final proof that aliens exist, while dismiss the sightings as a helicopter or plane. Cameraman Abe375, who uploaded the fascinating clip, said: "The blinking light was the only thing moving into I zoomed in to see the two lights blinking. "The night before there was an identical sighting that lasted almost three hours. The object flies and hovers around the sky, flying left, then changing course and going right. "It seems as if the object has a stationary red and blue light, but two others that strobe and are far apart. "About two hours after capturing the video, another object appeared."